FAIRHAVEN, Mass. 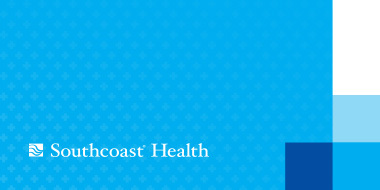 – Southcoast Health today announced that Jasjot K. Bhullar, MD, nephrologist, has joined Southcoast Physicians Group, and will see patients at 208 Mill Road, Fairhaven. Dr. Bhullar treats general adult nephrology conditions such as chronic and acute kidney diseases, kidney stones, electrolyte and acid base abnormalities, as well as resistant hypertension. Dr. Bhullar comes to Southcoast Health from Maine, where she was a staff nephrologist in private practice. She was also medical director of the Hemodialysis Unit at the Maine General Medical Center in Waterville. Dr. Bhullar earned her doctorate from the Government Medical College in Amritsar, India. She completed an internal medicine internship and residency, as well as a fellowship in nephrology, at Drexel University College of Medicine in Philadelphia. Dr. Bhullar also conducted extensive research in nephrology at Drexel before beginning her postgraduate studies. She was nominated by the Drexel University College of Medicine for a Golden Stethoscope Award for teaching excellence. She is a member of the American Society of Nephrology, International Society of Nephrology, and American Society of Hypertension. Dr. Bhullar is board certified in nephrology, hospice and palliative medicine, and internal medicine. She is also designated as Clinical Hypertension Specialist by American Society of Hypertension. She is fluent in Hindi and Punjabi. To schedule an appointment, call 508-973-2219.